Why does Costa Rica rock for family vacations? With more flights than ever before, LIR (Liberia International Airport) is super accessible. With direct flights from Baltimore, LAX, Houston, Dallas, Miami, JFK and Atlanta, there is sure to be a hub close by. Added bonus, once the wheel touch the tarmac, the North Pacific hotspots such as Tamarindo and Playa Grande, are less than an hour’s drive away. This becomes obvious the moment you line up for customs. Keep your eyes open for the family-friendly line to the far right of the customs/ immigration area at LIR. Families with small kids are welcome to glide right over to that special line, beating the boredom blues and cruising on through, fuss-free. Once outside the airport, you will get the feeling that family is everything. Many local families live 3 generations in one home- sometimes out of necessity, but get this: most wouldn’t dream of putting Grammy or Grampy in a nursing home or retirement village- it just isn’t done here! A positive side-effect of all this family-philia is that your rowdy, raucous kids won’t upset the apple-cart at any locally run restaurants. What does this mean for you? Less stress, more fun, happy family! Costa Rica has no army. Peace runs through Costa Rica like blood runs through your veins. People are generally very happy, friendly and non-confrontational. Police in Costa Rica are likely to smile and wave in response to your smile and wave- they aren’t scary! People are human in Costa Rica- courteous, and polite. Old-fashioned good manners are appreciated, and contagious. You will notice the difference and be changed because of it. Costa Rica has room to run, play, and simply immerse oneself in the outdoors. 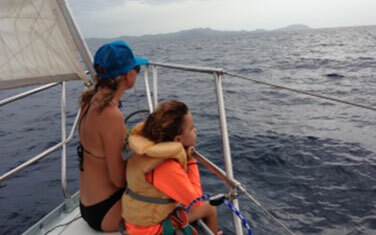 Kids love the wildlife, the freedom, the warm ocean and the sunny days. With an enormous selection of activities, enjoying the outdoors is easy and stress-free. Just remember, pack your sunscreen, sun-hats and UV shirts- it gets HOT here. You won’t find too many Trump sympathizers here. Among the local Tico, and ex-pat community alike, you will get a distinct taste for democracy, liberalism, free-thinking, and outside the box type people. 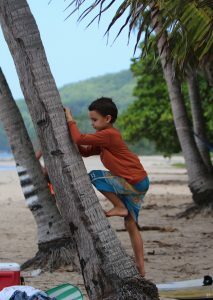 Acceptance of all walks of life is the key here, which is all part of the Pura Vida! Book your Costa Rica vacation now!